Posted on July 27, 2018 by Megan A. When I’m recommended a World War II book, my mind immediately thinks of shooting, and guns, and war. But this is not one of THOSE books. I could honestly say it impacted my perspective on life. Not to mention it won the 2015 Pulitzer Prize for Fiction and the 2015 Andrew Carnegie Medal for Excellence in Fiction. Anthony Doerr’s historical fiction, All the Light We Cannot See follows the story of two individuals who could not be more different. Marie-Laure, a blind, French girl, and Werner, an orphan, German boy grow up separately. Living in Paris, Marie-Laure’s father helps her with her eyesight disability by creating a tangible model of her city. But when she is 12, Marie-Laure and her father escape Paris after it is taken over by the Nazis and flee to Saint-Malo and her uncle in France. Werner, an extremely bright boy, grows up in a small mining town with his sister. They find a broken radio that he fixes and is soon recruited at an academy for Hitler Youth. He eventually is dispatched on the field to track radios operated by the resistance. The book explores the hardships these children have to face as they grow up in a war zone, but with a light mood. 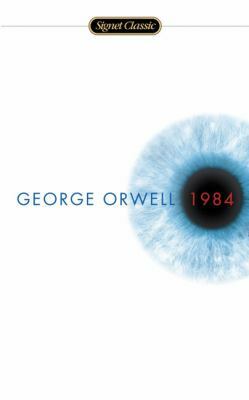 The book beautifully explores the potential of humanity. The innocent, humbling characters find hope in places with no light to be seen. In this way, this story did not include all the cliches of war books. From the first word to the very last, Doerr somehow painted a beautiful, poetic picture of their lives during this depressing time. Marie-Laure and Werner were children finding their own way in a corrupt world. Their motivating strength to survive was the main thing that inspired me live life and find light and hope, even in the darkest places. You may not be able to see the light, but that doesn’t mean it’s not there for you to discover. All the Light We Cannot See by Anthony Doerr is available for checkout from the Mission Viejo Library. IT can also be downloaded for free from Overdrive. Posted on June 11, 2018 by Megan A. Most of the books I’m required to read in school seem forced and I usually don’t end up enjoying them. However, I relished almost every word in To Kill a Mockingbird by Harper Lee. I realize that it may be one of the most widely-read classics of American —literature, but wanted others my age to learn that they can, in fact, enjoy something if they take it to heart. The plot revolves around a fictional, Southern town called Maycomb in the 1930s. One reason this book is special is not only that it’s written in the perspective of a white person, it’s also written in the perspective of a child. Scout, a white girl living with her father, Atticus, and her brother, Jem, tells the story of her childhood. One of the main themes that resonated with me was the innocence and compassion of children growing up. Scout is headstrong and seems to be more boy than girl. As a young girl, she spends most of her days playing with Jem and her neighbor, Dill around their town, and especially around the mysterious Radley house. However, Scout’s father, a lawyer is assigned a new case, and most of the book focuses on how it affects the prejudiced town. Scout learns not everything is black and white, even though most of the citizens of Maycomb think so. Many may argue that the book is about racism and some argue that racism is only a theme present in the book. I think it was mostly about childhood innocence and the beautiful, innocent perspective of ethics through a child. I saw the book as cleverly written with humorous parts in addition to some beautiful, thought-provoking quotes that I have totally taken to heart. The one thing in the book that totally changed my life was actually a character: Atticus. Atticus was consistent, compassionate, and extremely wise. More often than not, his expansive vocabulary confused Jem and Scout, but the lessons he verbalizes throughout the book are priceless, usually getting them to come up with opinions of their own. According to the rest of the town, Atticus isn’t raising his children right. But I couldn’t disagree more. 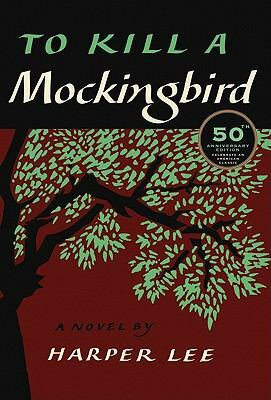 To Kill a Mockingbird by Harper Lee is available at the Mission Viejo Library.